H.E.M are delighted to introduce the hugely popular range of Selectric White Moulded Wall Accessories, which are manufactured under ISO to the latest British and European standards. Easy to install with a clean and modern design you can be assured that this range is ideal for any domestic or commercial environment. 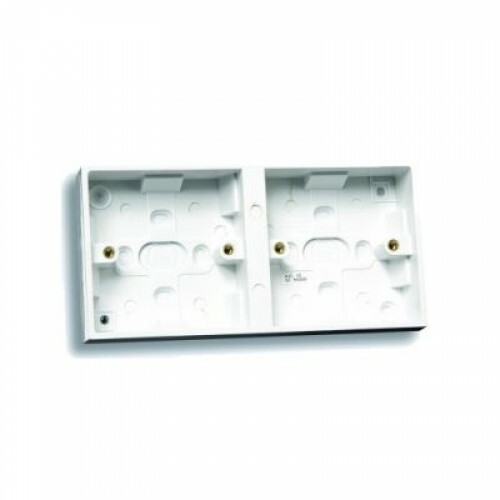 2 X 1 Gang Socket or Switch surface pattress box. Knockouts provided on sides and bases for cable entry.